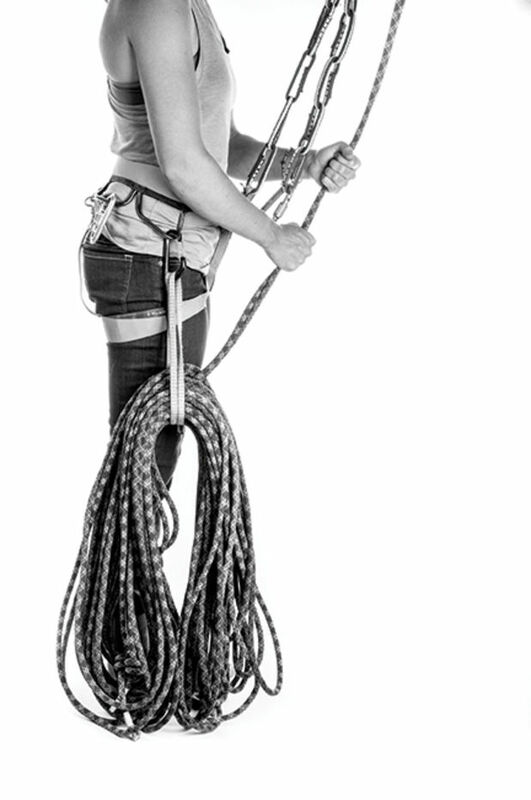 When I am abseiling, the rope is initially hard to feed through my braking device - if I take my hands away from the rope, I get stuck in mid-air. However, as I am getting lower, it gradually gets easier, until at some point the rope starts running by itself. Now, if I took my hands away from the rope (thought experiment - imagine I have no backup braking device), I would accelerate down and hit the ground very hard. Why is this so? The rope is vertical, and I don't touch any wall, and yet it somehow matters whether I am situated high or low on the rope. I am abseiling on a static rope, the height is 60 meters. Just to make it clear - the wall is absolutely vertical, and then somewhat overhanging, so the wall doesn't hinder my progress in any way. The simple answer is the weight of your rope. When you're at the top of a pitch, you will have the full weight of 60m of static line below you, braking on your device. As you move down the rope, there is less and less rope below you, ergo less weight and friction on the braking end of your device. Not the answer you're looking for? Browse other questions tagged rappelling or ask your own question.